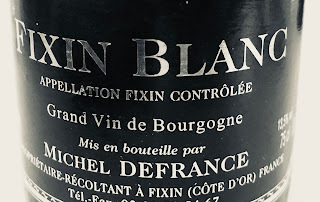 The 2009 Fixin red from Domaine Michel Defrance was excellent. I always enjoy the honesty of these less well-known villages in riper years. This Fixin blanc 2009 was another bottle kept too long in the Puligny cellar due to my four year sejourn in New York. Thankfully it is not dead and nor is it flagging! The brass colour announces a nose of clarified butter, croissant and forest flower honey (go to Beaune market and try the honey from different flowers, forest flower is particularly pungent, like manuka). Evolves to orange blossom water. A touch of apricot and baked orange. Rich texture of apricot and orange. Definitely a line of oloroso sherry. 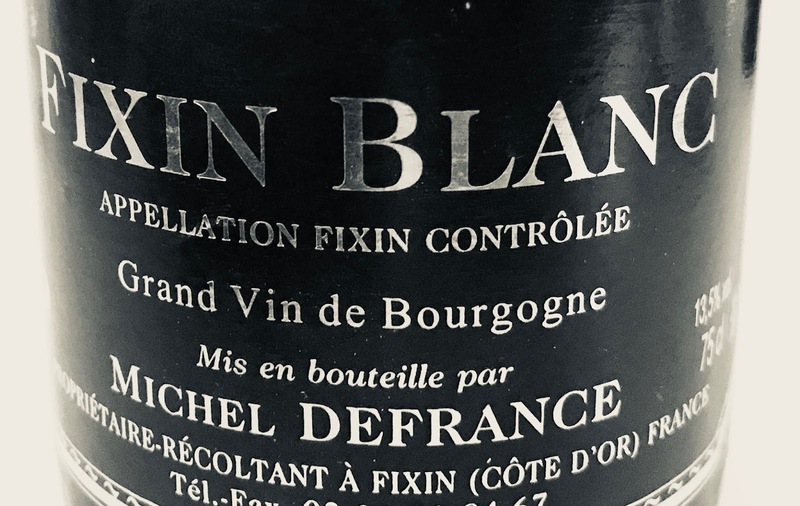 This Fixin blanc lacks finesse and doesn't have much minerality. But in a blind-tasting I imagine people would consider this a Pouilly-Fuissé or a slightly over-ripe Meursault from a producer like Dupont-Fahn or Yves Boyer-Martenot. Very successful and shows great wine-making technique. Scores 67/100 which is a formidable result for a Fixin blanc.